Each year, Indiana sees an average of over 200,000 car accidents involving injuries and/or property damage, while approximately 700 collisions involve a fatality. That’s according to the Indiana Criminal Justice Institute. A car accident can transform every aspect of your life in a matter of milliseconds. You could lose your car, your health, your ability to earn an income and even your ability to live independently. Some also suffer the devastating loss of a loved one — a loss that no amount of money can remedy. But a fair financial settlement or compensation can go a long way toward helping you to rebuild your life following an accident. It may not be possible to return to the life you had prior to a serious crash, but with the right car accident lawyer working on your side, you can find a new “normal.” At Tuley Law Office, our experienced team of Gibson County car accident lawyers are here to represent you and your interests from start to finish. We can help you deal with insurance companies, offer guidance and work to get you the compensation you need to recover and move forward. But you must take action soon because the law limits the time frame for filing a legal claim and the longer you delay, the more complex your case can become. So contact us to discuss your case in a no-cost consultation session. Call Tuley Law Office at (812) 434-1936. In an average year, Gibson County car accidents total more than 1100, with a handful of those crashes being fatal. But even in a non-fatal collision, the issues you’re left to sort through in the wake of an accident can seem overwhelming. But this is where our accident attorneys can help, as we’re committed to guiding you through the process of dealing with insurance companies and handling other issues as you strive to recover and put the accident behind you. The following is a look at a few of the many car accident-related questions that the Tuley Law Office legal team addresses on a regular basis. How Do I Know if I Need to Hire an Accident Lawyer? 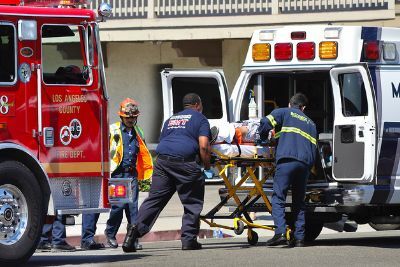 You may also benefit from hiring a lawyer if the accident involved another driver who was negligent or impaired, as this may serve as grounds for a personal injury case or a wrongful death lawsuit. How Can an Accident Attorney Help Me? filing a car accident lawsuit or wrongful death suit. Many drivers forget that the insurance companies tend to consider their own interests first and foremost. So you may not receive the compensation you deserve in a timely manner. In fact, some insurance companies have been known to “take their time” with the hope that the party will be more willing to accept a less-than-fair settlement because they’re in need of the money. It’s always wise to consult a Gibson County accident lawyer before accepting any sort of settlement or agreement because these documents typically include a clause that prevents you from seeking additional compensation in the future. In cases involving serious negligence, you may also be eligible for a punitive damages award if you opt to file a car accident lawsuit. Gibson County, Indiana civil courts (along with courts in other counties across the state) may opt to issue a punitive damages award to penalize the other party. Your lawyer can help you get compensation for a range of different losses including medical bills, physical therapy costs, hospitalization, lost wages (including wages that you would have earned in the future if you were able to work), property damage compensation, funeral/burial costs and compensation for pain and suffering. Which Insurance Company Do I Contact After an Accident? This is one area where the fault determination comes into play. As we’ll discuss in the next section, it’s essential that you have a top accident lawyer who can work to ensure that you don’t get saddled with more than your fair share of the blame. How Does Comparative Fault Work? Indiana uses a comparative fault system, which means that the accident evidence and facts are evaluated and based upon this information, a percentage of fault is attributed to each driver. This fault determination is key for several reasons, especially when it comes to how much compensation you receive in court or even in a settlement. Your percentage of fault is usually taken into consideration when evaluating how much you receive. For example, if one driver is found to hold 25% of the fault, then the total amount may be reduced by 25% (i.e. $100,000 would be reduced to $75,000) to account for your role. For this reason, it’s critical that you’re represented by an experienced Gibson County car accident lawyer who ensures that you’re not unfairly penalized. In a majority of accident claims, legal fees are paid on a contingency basis. Under this arrangement, the legal fees are deducted from the funds that are recovered. Sometimes the fees are a specific percentage of the total sum, while in other cases, the opposing side could be ordered to pay for your legal expenses in addition to any compensation you receive for other damages. As such, the exact dollar amount varies greatly. So it’s best to speak with a lawyer concerning your precise case to get a more accurate idea of what fees you’re facing. Indiana drivers trust the legal team at Tuley Law Office for help following a crash. Our practice was established by Attorney Daniel Tuley, a top personal injury lawyer with more than 30 years of experience in the field. While each case is unique, our general goals usually remain the same. We will work to protect you and your interests, while securing fair compensation and offering valuable guidance and legal advice as you work through the sometimes-complex issues that can arise after a car accident in Gibson County, Indiana or beyond. 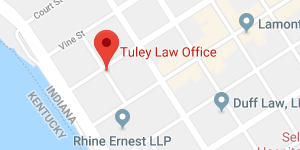 Contact the attorneys at Tuley Law Office today to schedule a confidential, no-cost consultation to discuss your case. Call (812) 434-1936.